It seems BookLikes was a nice experiment while it lasted. I'd say for at least a couple of months, this site has been having serious technical and usability issues, as in it can barely be used. I am not even sure this post will get posted (as I type, the browser is still spinning to finish loading the page). 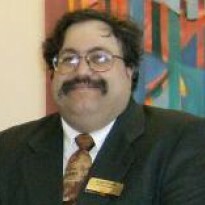 So, in case this post manages to make it through, for my few followers, here is where you can find me and my book reviews: I am always on Twitter: @gypsylib My book review blog is The Itinerant Librarian (http://itinerantlibrarian.blogspot.com). My commonplace blog is Alchemical Thoughts (http://itinerantlibrarian.wordpress.com) I am also on Tumblr at http://gypsylibrarian.tumblr.com Finally, my GoodReads profile, which I may have to go back to if I do not find a better option: http://www.goodreads.com/user/show/190365-angel Good luck folks. On the one hand, the book has some good advice for learners, especially about keeping a Tarot journal and overall for learning how to read the Tarot. Ellershaw offers a step by step system for learning how to read the Tarot cards. On the other hand, I did find some of the card meanings in this book a bit on the lighter side when compared to other books, such as Lyle's, but the meanings still fall within tradition for the most part, thus the book is still useful in that regard. Read the full review, where I also provide a review of the Tarot deck that came with this book kit, Ciro Marchetti's Gilded Tarot, at The Itinerant Librarian. Simply click the link above. By the way, if there are any Tarot users, readers, and/or collectors here in BookLikes, feel free to comment and say hello. "Before he joined the Rebellion, before he ran Cloud City, Lando made his way in the galaxy getting by on some swindles, some swagger, and a smile. With the loyal Lobot at his side, Lando has a plan to steal a very valuable ship." This book is part of Marvel's new Star Wars comics under Disney ownership. 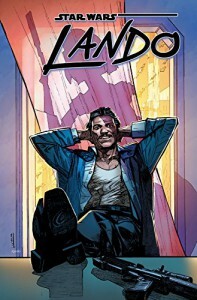 In this comic, Lando finds himself in trouble when he has to settle a debt to a crimelord. To settle it, the crimelord gives Lando one big job: to steal a very valuable ship. Even better for Lando is that he can keep anything of value inside the ship. At the moment, the ship is in dock for repairs, which means minimal security and a great time to steal it. It looks like an easy payday, but Lando soon finds out things are not as they seem. When the owner finds out the ship is stolen, he sends a deadly assassin after Lando, and that may be the least of his worries. This is a good, fast paced story of Lando Calrissian's early days. It's a good thieves' tale with plenty of action and charm. We see Lando as a smart and lovable scoundrel with a great gift for charm. The tale draws you in right away, and once you start, you keep reading right to the end. And it also has a fast, tense, and moving ending. Additionally, the tale provides more insight into the friendship and bond between Lando and Lobot; for fans of the original films, this may be of interest too. Plus, the art in this volume is very good. Overall, this is a story I really liked. It did feel a bit short, but it packed in a lot in terms of action. If another volume comes out, I will seek it out. Star Wars fans, especially for The Empire Strikes Back, will likely enjoy this one. It is a good addition for libraries. The novels and short story tell the story of Space Marine Rafen and his blood brother Space Marine Arkio. When Arkio comes into contact with the Spear of Telestro, an ancient Blood Angels' relic recently recovered, Arkio experiences new powers and visions. He then claims to be the reincarnation of Sanguinius, the Blood Angels' Primarch. Many of the Blood Angels rally to Arkio but not all. 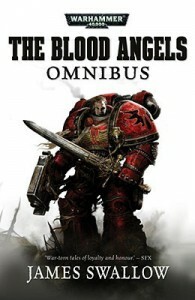 Rafen is one of those with doubts, and the novels lead to their inevitable confrontation as the Blood Angels are plunged into an internal conflict. Check out the full review of this at The Itinerant Librarian by clicking on the link above. This is another small book, an art book of 95 pages showing a variety of Tarot card decks. It's a very nice book to look at. 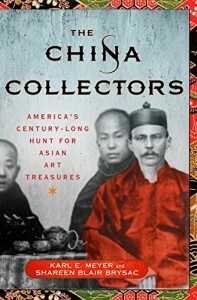 For Tarot card deck collectors, this book may incite their collecting lust a bit. The book starts with an introduction that sets up the book and gives a brief history of Tarot cards. 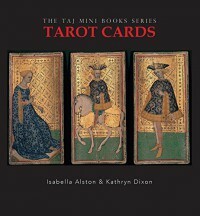 This book looks at Tarot cards as an art form. Check out the rest of my review at The Itinerant Librarian by clicking the link above. On a side note, the photo that BookLikes is using here is different than the cover of the edition I have, which is shown on my blog post. After the events in the previous volume, Pope and Jesus are homeless. However, they soon find a new place to live along with the tenants of the previous building they lived in, who ended up homeless as well. Jesus and Pope are getting along slightly better as roommates. Meanwhile, Agnes, Pope's old landlady, keeps hitting on him, and if that was not enough, Pope has a crush on a female demon named Brenda. Could Brenda be true love for Pope at last? The volume also features a Christmas holiday edition, and the Virgin Mary drops by to visit her son for his birthday. Pope continues to blast evil demons when he can, and he does get with the ladies as much as possible. Though the volume is not as humorous as previous ones, it is still amusing, and it does have some funny moments. The art is definitely a great reason to pick this up, and Image's restoration in full color makes this comic pop. The comic also features a short introduction by Chris Piers, and it also has a sketchbook so you can see early drafts and how the comic was developed. Overall, it was a fun read. As I've said for previous volumes, this is not a comic for young kids given violence and some very adult situations. This is a story that on the one hand can be hard to believe. On the other hand, it is a story that is easy to believe given the reputation of law enforcement of often breaking rules they are supposed to enforce and making deals with criminals of dubious value. 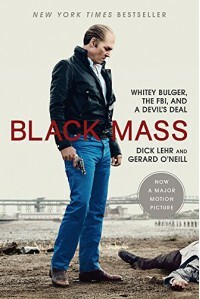 Sure, taking down the Boston Mafia was a noble goal, but the FBI basically sold its soul to Bulger and enabled his own rise to control organized crime in Boston. Add to this a serious lack of accountability, the FBI's own internal corruption, and a parade of barely competent FBI supervisors, and you get a recipe for a disaster the FBI will be trying to amend for years to come. Click the link to read my full review at The Itinerant Librarian. This review includes my thoughts on the film, which I watched shortly after having read the book. Cleis Press is running a virtual book tour for this book during National Pride Month in June, and I was happy when I got the invite to join in for this book. I wanted to read this for a couple of reasons. One, I enjoy reading history books, especially on topics I may need to learn more about. 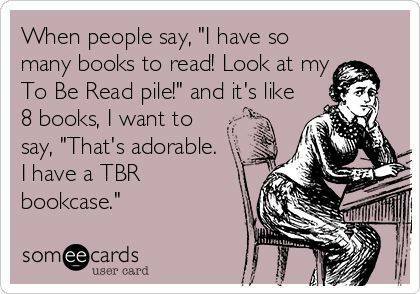 This book certainly fit that bill. 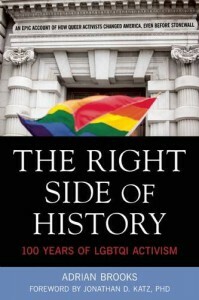 Two, June is National LGBT Pride Month, so what better time of the year to read a book on the history of LGBTQI activism? The timing worked out for me. Overall, this was a good book I enjoyed. Click the link to read the rest of my full review of this book over at my blog, The Itinerant Librarian. This is totally cool. The Encyclopedia Brown fascinated me because I loved those books as a kid, and I can just see that fate. Ah, Hannibal Lecter. No other fictional murderer has captured the collective unconsciousness quite like Thomas Harris’s culinarily-inclined mastermind. What is it about sleek, erudite monster that makes him so indelible? Four novels, five films and a television show might have destroyed another character, or at the least made him over-exposed. Only classic nightmare fodder such as Dracula and Frankenstein’s monster seem to exist in that same rarified air as Hannibal, where repeated use does nothing to fade their own personal brand of darkness. Part of Hannibal’s continued appeal must lie with the way Harris has chosen Hannibal’s antagonists. The women and men who go up against Hannibal Lechter are all formidable minds in their own right, and so Hannibal’s victories (and defeats) against them are always well-earned. So how might Hannibal fare against some of the greatest detectives in literary history? It’s not so much the clues that make Sherlock Holmes curious about the dapper alienist Dr. Lecter, but their absence. The tell-tale cloud of detritus that surrounds us all as consequence of living was absent from Lecter, as if the man scrubbed himself clean every hour. “Or perhaps,” Watson joked, “he isn’t even there at all.” Despite no evidence of wrong-doing, Holmes can’t let the matter go, and becomes obsessed with the man, teasing out the smallest of pieces to Lecter’s true identity. Lecter gleans what Holmes is up to, and in a bout of hubris, invites the detective to his massive estate for dinner. Holmes needs only a sniff to know that succulently-roasted pork loin isn’t pork at all, and everything falls into place. Key Line: "I speak only of your inevitable destruction,” said Lecter. “You’re clever, Mr. Holmes. But you stand in the way of an individual, whose skill you, with all your cleverness, have been unable to realize. You must stand clear, or be trodden underfoot." Who Survives: Holmes, but just barely. Hannibal almost succeeds in killing Sherlock before he takes a bullet from Watson’s service revolver. Hercule Poirot runs into Dr. Lecter when investigating a particularly gruesome series of murders that have taken place in an English resort village. They admire each other’s suits and accessories, and Lecter assists handily in investigation, speaking to Poirot entirely in French. Hastings takes an immediate dislike to Lecter—“I can’t explain it, and I’m not going to. I simply don’t like the chap.”—which Poirot chalks up to general English distrust of foreigners. It is not until after Poirot and Lecter are celebrating the case being solved and the murderer confessed that Poirot gives Lecter a deeper look. Poirot realizes that the murderer was a protégé of Lecter and he is currently dining on human flesh at approximately the same moment. Poirot, ever the gentleman, confesses that he’s lost his appetite, and hurriedly informs the authorities. Who Survives: Hannibal considers killing Poirot, but cannot bring himself to destroy such an impressive mind. He flees instead, and Inspector Japp brings the assembled police to an empty house. Spenser isn’t even LOOKING into anything near the murders Hannibal commits. He’s following a kidnapped girl, because people pay him to solve kidnappings, not murders. But when he finds the kidnapped girl unharmed and her obstenible kidnapper hung by his own intestines from the rafters, Spenser is surprised to find he’s still capable of surprise. He gets paid for returning the girl, but the murder weighs on him more than it should. Susan, ever the psychologist, sees this and arranges a meeting with an old colleague. Dr. Lecter does this sort of work with FBI, and wouldn’t it be nice to have him over for dinner? Lecter said, "Mind if I snicker every once in a while behind your back?" Who Survives: Clever as he is, Spenser is far too much of the type that Hannibal dines on regularly, so there’s no way he walks away from the encounter. Where Hannibal trips up is that he tries to go after Hawk. And you can’t kill Hawk. Who Survives: Lecter gives a good fight, seriously wounding Nick. But he doesn’t account for Asta, and the small Schauzer distracts Hannibal long enough for Nora to take him out for good. Nick and Nora resolve never to visit Baltimore again. When one of the California Fidelity insurance employees turns up dead with his lungs missing, Kinsey Millhone is on the case. Nevermind that the local police and the FBI (who thinks the MO is strikingly close to the Chesapeake Ripper on the East Coast) are already investigating—Kinsey’s not going to turn down a chance at rent-free office space just because there’s other detectives. But having more eyes doesn’t mean they can see anything: it’s Kinsey who turns up more murders that the police and the FBI have overlooked. And it’s Kinsey who figures out the connection between the California Fidelity employee’s cold call to visiting psychiatrist Hannibal Lecter and his unfortunate demise. Who Survives: Like so many Alphabet Series antagonists, Hannibal underestimates Kinsey as a threat, and never realizes the woman in the turtleneck sweater who trims her hair with toenail clippings is the one who delivered him right into the waiting hands of the FBI. Chief Brown can’t tell every difficult case at the dinner table. For those cases that are too disturbing to tell his wife and 10-year-old son, he bends the ear of another. Dr. Hannibal Lecter has given invaluable help over the phone, and it is not long before the conversations between the police chief and the psychiatrist take a personal turn. Hannibal is impressed that Brown’s son Leroy has started his own detective agency, and wastes no time coming to their home in Florida to meet the boy in person. Impressed by Encyclopedia Brown’s observation skills, Hannibal takes the kid under his wing. Hannibal ends teaching Encyclopedia more about human nature than the boy every dreamed. Who Survives: No one. We’re all dead if Hannibal raises Encyclopedia Brown. How would your favorite fictional detective stack up against Hannibal Lecter? 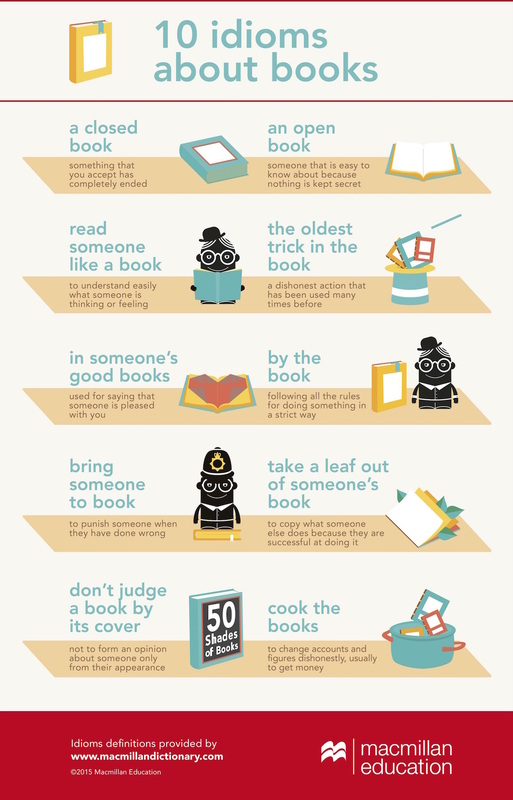 (Crossposted from my blog The Itinerant Librarian). This was a light and entertaining crossover comic. A new invention, a dimensional transporter, goes haywire, and the Turtles get transported to a very different New York City, the NYC of the Ghostbusters. As usual in this kind of crossover, the two teams need to learn how to work together. In this case, they unite to fight an ancient evil that followed the Turtles through the transporter. Though it is labeled children's fiction, it is pretty much good entertainment for all ages. 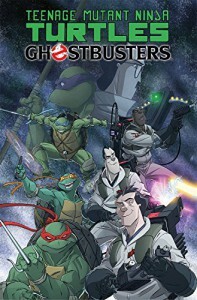 It is certainly one I can recommend to public libraries, especially if they already have other TMNT or Ghostbuster comics. These are not the Nickelodeon TMNT, but the comic will likely appeal to those fans as well. The volume provides a nicely paced, entertaining story with some good humor and plenty of action. It is neat to see how the two teams come to work together. Also, it is a nice and very colorful with the art, which enhances the volume. 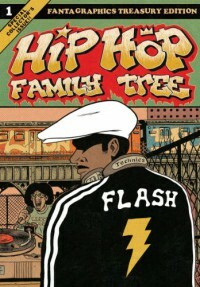 This is a graphic novel history of the early days of hip hop and rap, and it all gets started in parks and nightclubs in the South Bronx. We get to see the rise of stars like Grandmaster Flash, the Sugarhill Gang, Kurtis Blow, and others who worked behind the scenes like Russell Simmons and Sylvia Robinson. The book takes us from the early days and rivalries to the start of the music entering the mainstream with Kurtis Blow's hit "The Breaks" and Debby Harry and Blondie's "Rapture." The oversized volume is colorful with great art by Piskor. The art really captures the flamboyant and strong personalities of the artists. I found the story interesting, though at times I wanted a bit more depth. The narrative jumps quickly from episode to episode. It can be a bit superficial at times. However, it is a good book that captures its era well. I will seek out the next volume. I liked it, but it could have been better at times, so I am giving it 3 out of 5 stars. The topic was interesting, but this writing in this book was a bit dry at times; the result is that the book was a slow read for me. Once you get past the first chapter, which lays out a lot of basic historical background, things do get a bit more interesting. Just click the link to read the rest of the review. The other great loss to the world of letters (besides Gunter Grass, another great) that not many are talking about. From The Guardian. If you want to understand Latin America, the United States colonialism and exploitation of the region, and globalism, Eduardo Galeano is one of the must-reads. This is a collection of tales of the sensual and forbidden in the Gothic tradition. Many of the tales have a strong supernatural element; others simply have that dark feel that really does not need something supernatural to draw you into the shadows. Some of the tales may be a bit horrifying, and others can be bittersweet and even moving. If interested, feel free to click the link and read my full review on the blog.